Honduras is a republic in Central America. It was at times referred to as Spanish Honduras to differentiate it from British Honduras, which became the modern-day state of Belize. The country is bordered to the west by Guatemala, to the southwest by El Salvador, to the southeast by Nicaragua, to the south by the Pacific Ocean at the Gulf of Fonseca, and to the north by the Gulf of Honduras, a large inlet of the Caribbean Sea. Honduras was home to several important indigenous cultures, most notably the Maya. Much of the country was conquered by Spain which introduced its now predominant language and many of its customs in the sixteenth century. It became independent in 1821 and has been a republic since the end of Spanish rule. 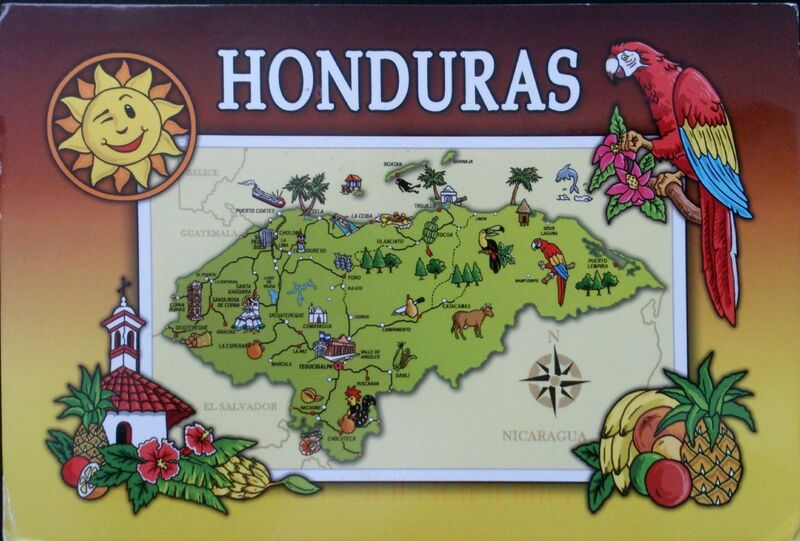 The area of Honduras is about 112,492 km² and the population exceeds eight million. Its northern portions are part of the Western Caribbean Zone. Honduras is most notable for production of minerals, coffee, tropical fruit, sugar cane and recently for exporting clothing to the international market.